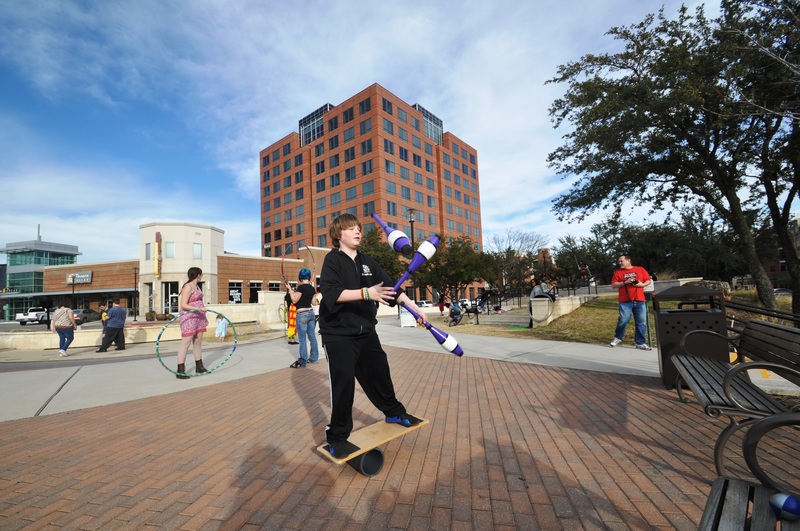 We’ve had a pretty cold winter (for Texas) this year, but the weather was perfect yesterday for Spinfest. 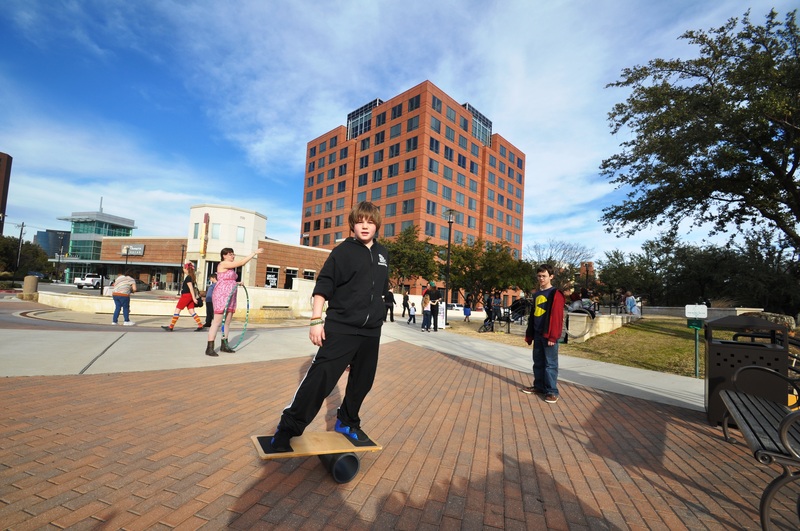 That’s the 3rd Saturday get-together of circus people in Richardson. As always, I had a lot of fun. 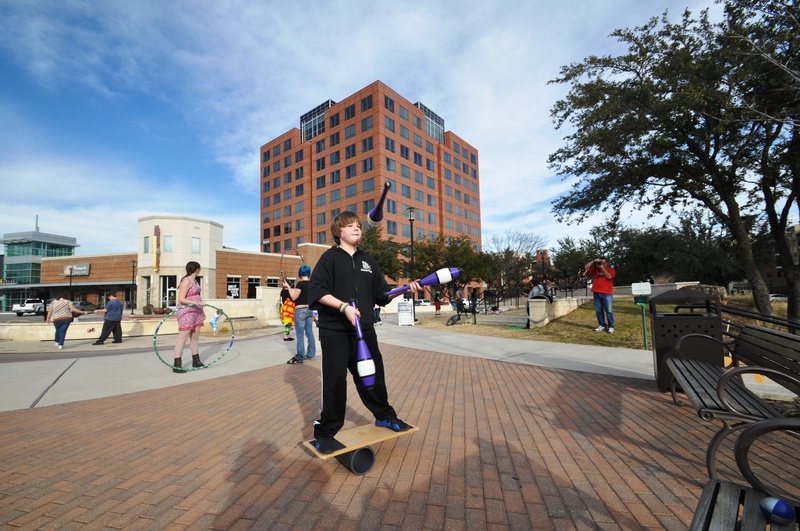 Spinfest is free, and anyone is welcome. 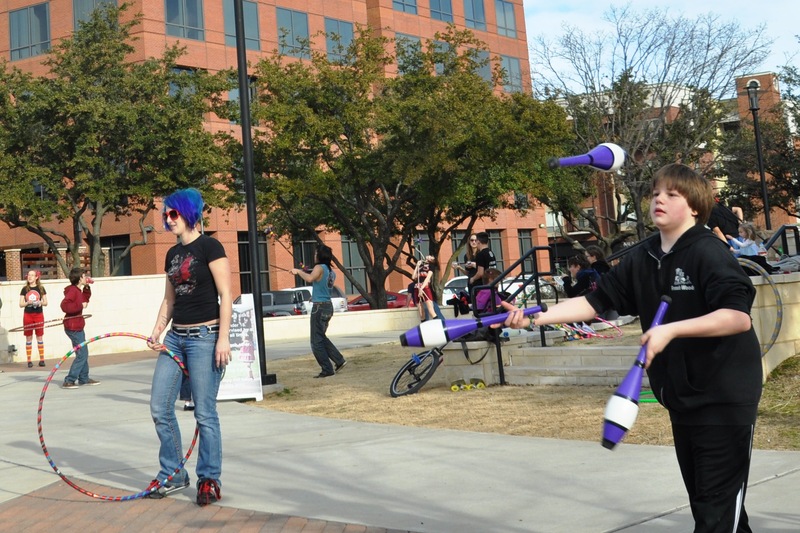 You don’t need any special skills — everyone is happy to show you how to do new things, or you can bring your own props and show us new tricks, too. 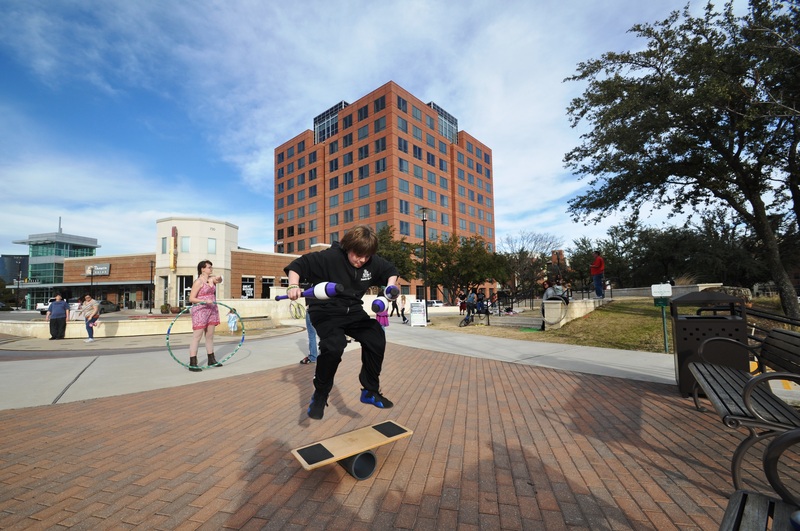 It’s lots of fun, and there are people of all ages, from small children to grandparents. Come and play with us! 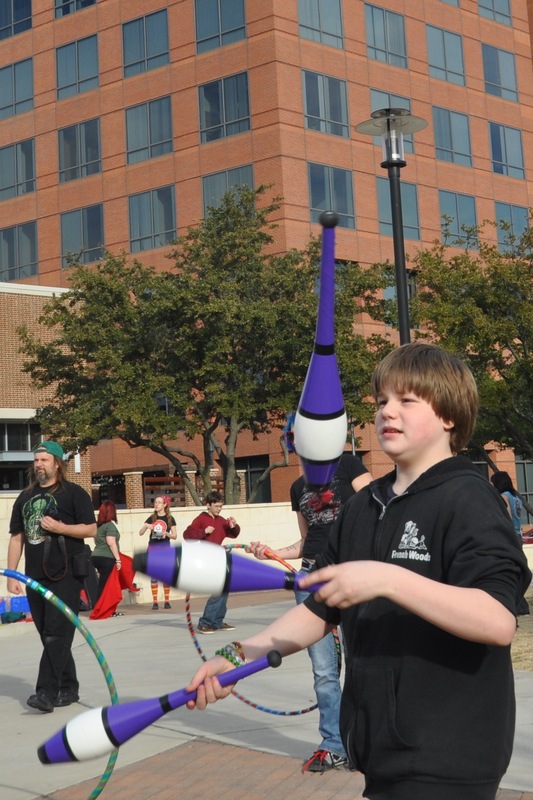 You can learn to juggle, hula hoop, or spin poi, staves, or flags. Come share your skills or learn new ones. Teach your body and brain to do new things. 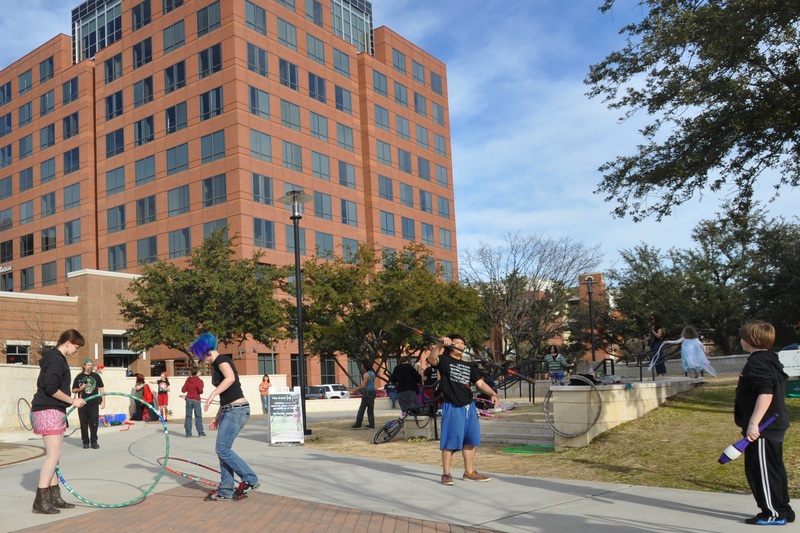 It’s a great opportunity to get out, move, and create with friendly people. You can find out more or get on the mailing list for monthly reminders by clicking on this link. But you don’t have to wait until next month. 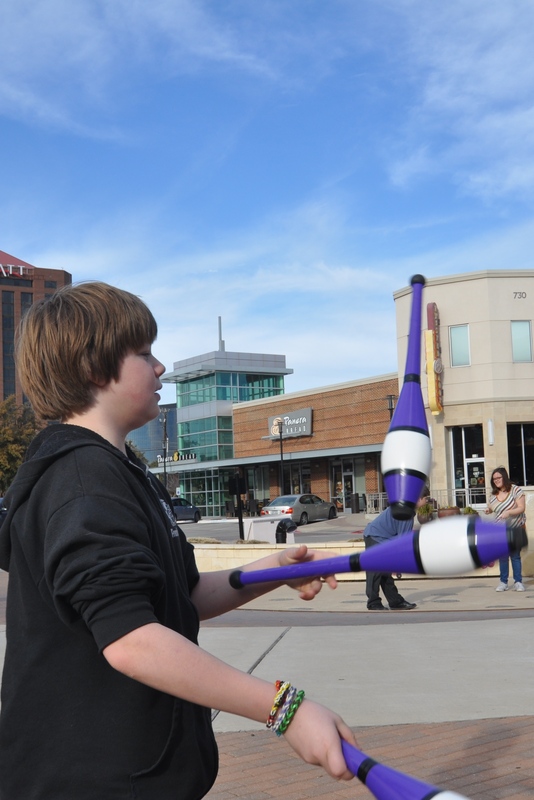 The same people are usually at Valley View Mall from 8-10 p.m. every Tuesday and Thursday. Just stop by the second level (just above the carousel, in the “Galleries at Midtown” area overlooking the food court. Hope I see you there! Here are a few photos my grandpa took.